Best caliber for hunting big game in Africa with Mkulu African Hunting Safaris. The best big game caliber for hunting in Africa will be debated for many years to come. In the end the decision for which hunting rifle and caliber to bring to Africa for a South African hunting safari will lie with you. This decision will many times be a no-brainer. For those who have never been for an out-of-country hunt it can become a major decision. 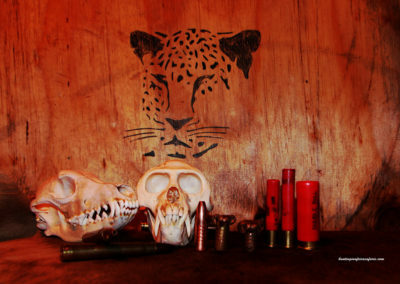 After a number of years in the African safari hunting business we have learned that a possible definition of the best caliber for hunting big game in Africa is rather simple: bring the rifle caliber or rifle calibers (you are allowed to bring two rifles) you feel most confident shooting with. The rifles you intend bringing along are subject to government rules and regulations as set out in the SAPS 520 section of this website. If we were to recommend two calibers it would be a 30-06 and a 375. 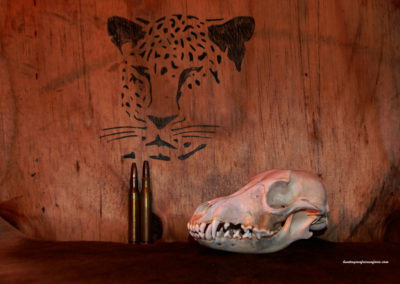 With these two calibers you will be able to hunt anything that walks in the African bushveld. The most popular calibers brought along on any South African hunting safari trip range from a 270, 7mm-08, 7 mm Rem Mag, 30-06 to a 300 WSM and 300 Win Mag. 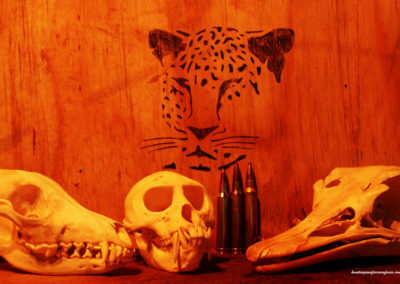 One aspect Mkulu African Hunting Safaris will remain adamant on will be the quality of the ammunition you bring along. Please only use the best premium grade ammunition that your rifle shoots accurately. Several game animals have been wounded and lost due to hunters not adhering to this advice. The projectile weight will be determined by which weight performs with the best accuracy in your particular rifle. 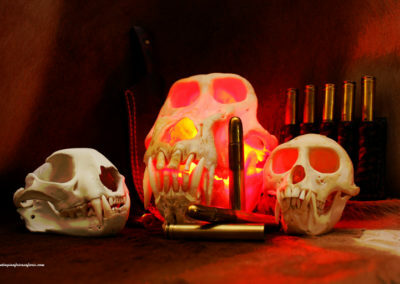 Good thing is with premium grade ammunition you can hunt African big game with smaller bullet weights. It is loaded with 500 gr Barnes TSX projectiles at around 2 300 fps for Cape buffalo. It is loaded with 500 gr Hornady Full Metal Jacket (FMJ) or 500 gr Federal Premium FMJ monolithic solids at around 2 300 fps for elephant and rhino. Seen here are the 300 Winchester Magnum (Win Mag), 300 Weatherby Magnum (Wby Mag) and the 300 Remington Ultra Magnum (RUM). We consider the 300 Wby Mag and the 300 RUM as high velocity calibers that tend to deflect and wound animals when hunting in the bushveld. This does not take away any and all positive aspects of the 300-range calibers. Almost all hunters and shooters will know these two calibers. The 270 is a 30-06 necked down to receive a .270″ caliber projectile. Between the two we would suggest using the 30-06 in bushveld hunting conditions and the 270 for plains game in the wide open spaces of the Free State. Although shotguns do not have calibers, we thought it a good idea to make mention of the 12 ga. Most gun shops in South Africa always have 12 ga ammunition and seldom have 20 ga. This is the reason we mention the 12 ga if you were considering bringing a shotgun along on your African hunt. Talk to your outfitter before bringing shotguns outside of the 12 ga.
Mkulu African Hunting Safaris consider the 30-06 as the best all-round caliber for hunting plains game in Africa. The 30-06 has a proven track record, ammunition is readily available in South Africa and it is just a sweet shooting caliber. This does not mean we do not have confidence in any other calibers. On the contrary, other calibers like the 270, 308, 7 mm Rem Mag, 7 mm-08, 300 Win Mag and others have all been used with big success on our African hunting safaris. It is your right to own and bear firearms. It is your right to own as many firearms as you like. It is your right to own any caliber firearm you want. You would be missing out if at least one of your rifles was not a 30 – 06. 375 and any similar or comparable caliber. Generally: the bigger the better. The very first rifle handy! The 110 lb tracker said he wanted to shoot the 458 Lott after a dangerous game hunt. We decided to allow him to shoot it. The best caliber for hunting African dangerous game (African elephant, Cape buffalo, lion, leopard, rhinos and hippos) would be the largest caliber you feel comfortable shooting accurately with between 20 and 35 yards. These safari rifle calibers have the best stopping power and best knock-down power. 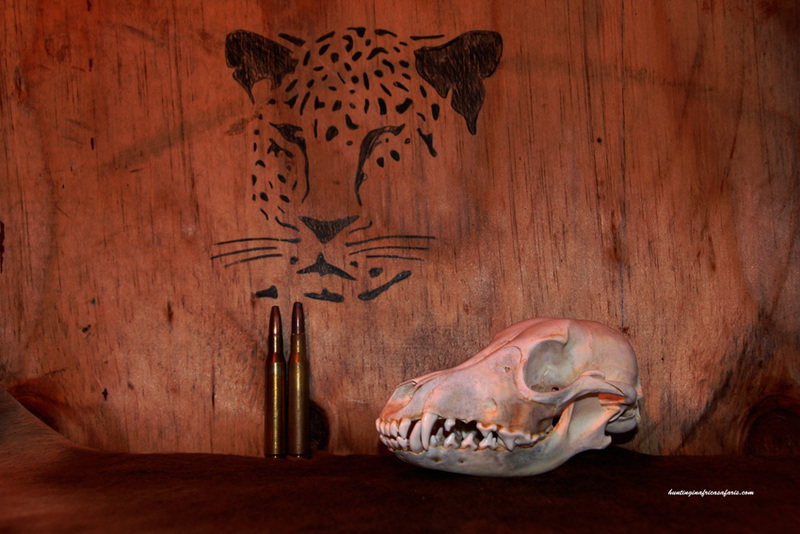 With regards to dangerous game hunting it is our experience to use the largest calibers you are comfortable using. If you are recoil-shy explore alternatives to lower the recoil. 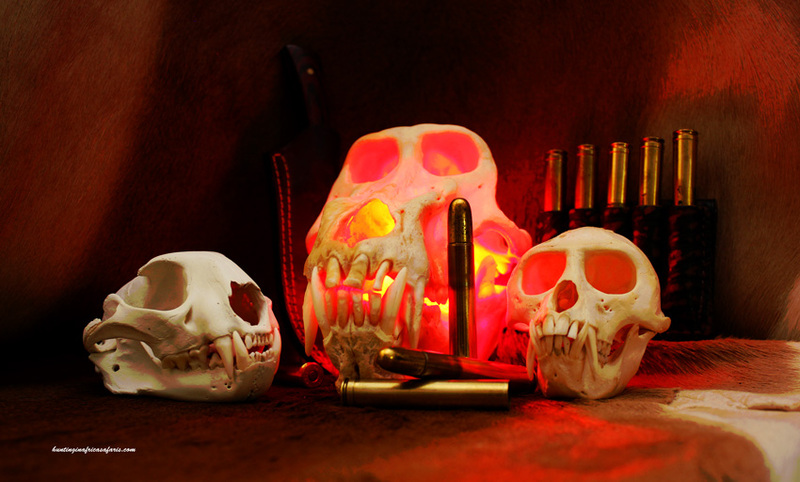 Best ammunition for African dangerous game hunting – only use premium grade ammunition on any dangerous game hunt for obvious reasons. 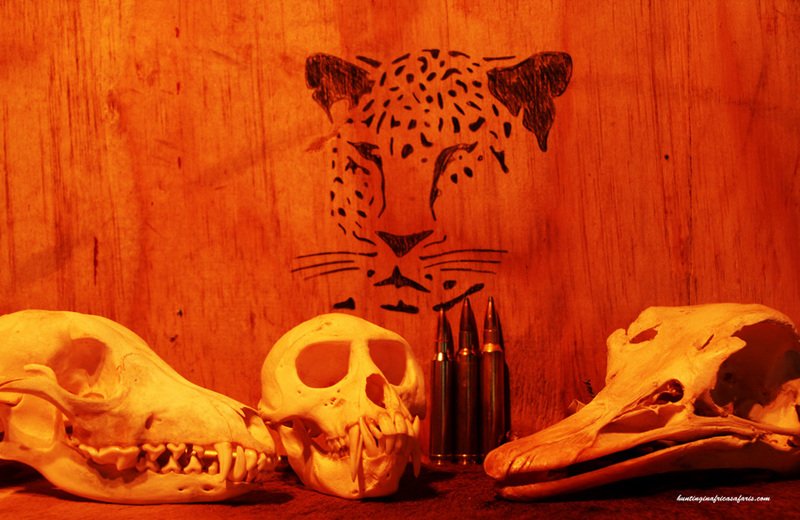 We have had very good results with Hornady solids when hunting elephants and rhinos. 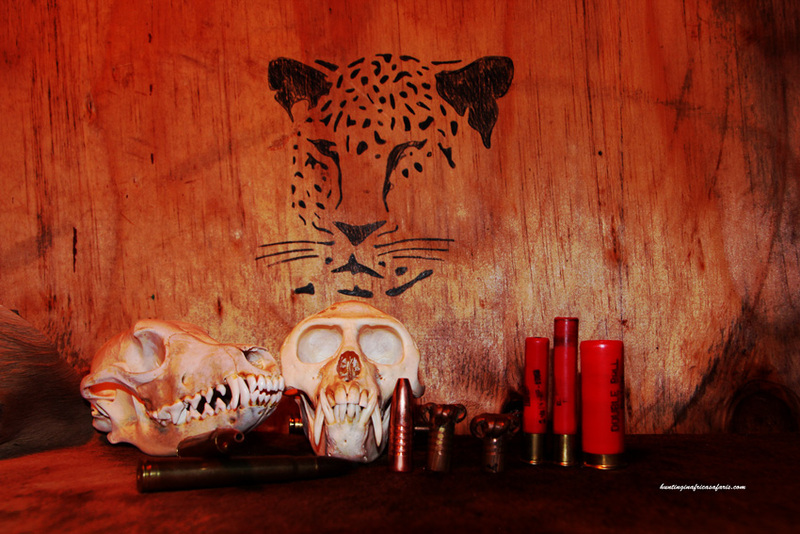 Hunting leopard and lion we recommend using Woodleigh soft nose ammunition. For hunting Cape buffalo we have had excellent results with Barnes TSX ammunition. Working up a load for your rifle will depend on how well your rifle shoots a specific weight and brand projectile at optimum muzzle velocity. 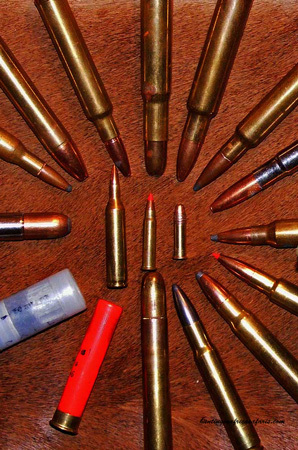 While you have control over which ammunition to use, use only the best. If you only have a 375 then please feel free to use it.